Fortis owns 27 per cent stake in RHT at the moment. Bulk of the current fund infusion will go into the buyback of healthcare assets that are currently leased out from the RHT. Fortis Healthcare Ltd will complete the buyback of the 12 healthcare assets owned by Religare Health Trust (RHT), Singapore, by the year end, its new promoters IHH Healthcare Berhad, Malaysia, has said. The promoters though are not in a hurry to dump the "Fortis" brand as the existing contracts permit the use of the brand until 2022. In an interaction a day after the Fortis Board approved the allotment of preferential shares to Northern TK Venture Pte Ltd (wholly-owned indirect subsidiary of IHH Healthcare Berhad) (IHH-NTK), to make it the controlling shareholder with 31.1 per cent stake, Dr Tan See Leng, managing director and CEO, IHH Healthcare said that the buyback is the current priority. Fortis owns 27 per cent stake in RHT at the moment. Bulk of the current fund infusion will go into the buyback of healthcare assets that are currently leased out from the RHT. Leng also ruled out any immediate change at the operational or managerial level of Fortis. "No change for the sake of change," Leng said. Fortis has been spending Rs 300 crore to Rs 350 crore every year on rent for the 12 healthcare assets it is about to buy back. The annual rental has been a major drag on its profits. The new promoters have also managed to re-negotiate many of the existing debts of Fortis at a cost lower than what it used to be. Leng did not share the details. IHH, which owns and operates healthcare facilities across Asia will also come out with the mandatory open offer for acquiring up to 26 per cent of the expanded capital from the existing shareholders of Fortis at Rs 170 per share for a consideration of up to Rs 3,300 crore. Depending on the shares tendered by the shareholders of Fortis, IHH-NTK would end up having between 31.1 per cent to 57.1 per cent stake in the company. Bhavdeep Singh, CEO, Fortis Healthcare said that the company has severed all ties with its erstwhile promoters -- Malvinder Singh and Shivinder Singh and hence will not be impacted by the ongoing litigations the erstwhile promoters are having with Japanese drug major Daiichi Sankyo in relation with the sale of their flagship company Ranbaxy some years ago. On November 13, four IHH-NTK nominees -- Dr. Tan See Leng, Low Soon Teck, Dr. Chan Boon Kheng and Bhagat Chintamani Aniruddha -- had joined Fortis Board. 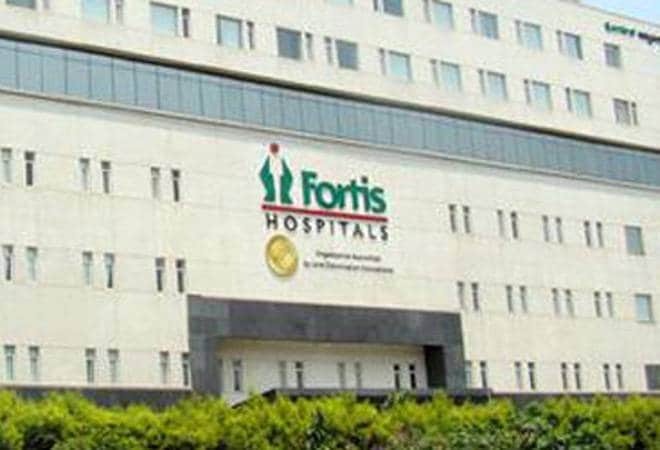 Fortis Healthcare has a presence in India, Dubai, Mauritius and Sri Lanka with 43 healthcare facilities (including projects under development), approximately 9,000 potential beds and 378 diagnostic centres.